The Coca-Cola Case - A documentary film about Coke and labour rights in the bottling plants . You’ll never look at a can of Coke the same way after seeing this documentary film. Directors German Gutierrez  and Carmen Garcia  present a searing indictment of the Coca-Cola empire and its alleged kidnapping, torture and murder of union leaders trying to improve working conditions in Colombia, Guatemala and Turkey. The filmmakers follow labour rights lawyers Daniel Kovalik and Terry Collingsworth and an activist for the Stop Killer-Coke! Campaign, Ray Rogers, as they attempt to hold the giant U.S. multinational beverage company accountable in this legal and human rights battle. 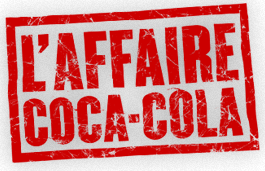 L’affaire Coca-Cola - Un film documentaire sur Coca-Cola et le droit des travailleurs dans les usines d’embouteillage. Une fois que vous aurez vu ce documentaire, votre Coke n’aura plus jamais le même goût. Les réalisateurs German Gutierrez et Carmen Garcia dressent un réquisitoire accablant contre l’empire Coca-Cola, soupçonné d’être impliqué dans l’enlèvement, la torture et le meurtre de chefs syndicaux qui luttaient pour l’amélioration des conditions de travail en Colombie, au Guatemala et en Turquie. Les cinéastes s’attachent aux avocats en droit du travail Daniel Kovalik et Terry Collingsworth, ainsi qu’au militant Ray Rogers, directeur de la campagne Stop Killer-Coke!, alors qu’ils mettent tout en œuvre pour obliger le géant américain de l’industrie des boissons à répondre de ses actes dans cette bataille juridique pour les droits de la personne. The Coca-Cola Case: Responsibility: In this interview, filmmakers Carmen Garcia and German Gutierrez discuss the notion of responsibility as it pertains to The Coca-Cola Case. The Coca-Cola Case: Themes: In this interview, filmmakers Carmen Garcia and German Gutierrez discuss some of the themes explored in The Coca-Cola Case. The Coca-Cola Case: The approach: In this interview, filmmakers Carmen Garcia and German Gutierrez discuss the approach they took for their documentary The Coca-Cola Case. The Coca-Cola Case: Courage and social justice: In this interview, filmmakers Carmen Garcia and German Gutierrez discuss courage and social justice as it pertains to the making of The Coca-Cola Case. The Coca-Cola Case: The documentary, an alternative voice: In this interview, filmmakers Carmen Garcia and German Gutierrez discuss how The Coca-Cola Case the documentary serves as an alternative voice demanding workers’ rights. - "Campaign to Stop Killer Coke", Javier Correa y William Mendoza (Sinaltrainal) & Ray Rogers (Director, Campaign to Stop Killer Coke). - The SunTrust/Coca-Cola Six-Pack: Getting Away With Murder- Coke can’t hide its crimes in Colombia - A few of killer Coke’s casualties - Human Rights Scandal leaves ’Six Pack’ speechless - Coke Plus SunTrust: Formula for Terror. - "Stop Killer Coke", Madeleine Baran, Dollars & Sense - Real World Economics, noviembre 2003 *CAMPAIGN TO STOP KILLER COKE: Coca Cola Board of Directors - Killer Coke’s Casualties - Two Faces of Coke: Coke can’t hide its crimes in Colombia / Human Rights scandal leaves ’six pack speechless - Coke’s other crimes and abuses. Still the company would not give up. After five years of haggling, will the lawyers get justice? In the end, they reach a settlement of sorts, but what will the victims choose -cash, or power and integrity? 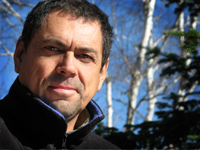 After studying filmmaking, Germán Gutiérrez worked first as an assistant cameraman and later as a cameraman for “Radio-Canada”, the “National Film Board” and a variety of production companies. He soon moved on to directing, initially focusing on social and political issues. This work took him to the four corners of the earth, often to conflict zones: Cambodia, Sarajevo, South Africa, Rwanda and El Salvador. Gutiérrez now has over twenty films to his credit, including La familia latina (1986) –Golden Sheaf Award, Yorkton Festival; Societies Under the Influence (1997), Martin’s Inferno (2002) and Who Shot My Brother? (2005) –Audience Choice Award at the Festival du nouveau cinéma). He has also collaborated on a number of television series, including Surviving the Wild (1999) and Technopolis (2001). His outstanding work on the series Insectia earned him numerous awards. Carmen García made her start as a producer in 1984 at Ciné-Contact with L’enjeu des femmes, a documentary series directed by filmmakers from across the world, including Mira Nair. 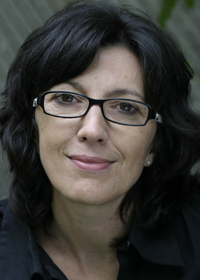 In 1988, she co-founded “Argus Films” with Germán Gutiérrez and produced Germán Gutiérrez’s Le système «D», Gilles Courtemanche’s L’Église du sida and Mary Ellen Davis’ La terre des autres. She also collaborated with companies such as “Pixcom” and “Gala Films” and with the “National Film Board of Canada” as a producer, script writer and director. Since 2003, after a contract at “Telefilm Canada”, she has given a new direction to “Argus Films”. Recent titles include The Coca-Cola Case (2009); Sans banque et sans regret (2009); Nadia’s Journey (2007) –Prix caméra au poing, RIDM, Special Jury Prize, Figra; Who Shot My Brother? (2005) –Audience Choice Award, Festival du Nouveau Cinéma, nominated for a Jutra award, Best of Festival, Columbus.